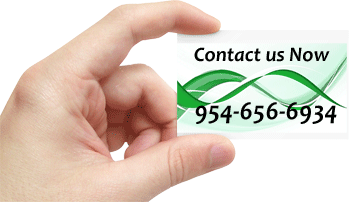 Description: Take greater command of your business with a lower total cost of ownership. 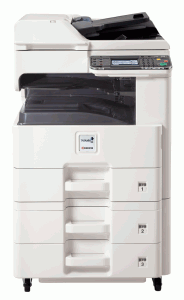 Designed with you in mind, the CS 305 multifunctional systems with SMARTtech (Simple Management and Replacement Technology) assure simple-to-operate and simple-to-manage MFP functionality. 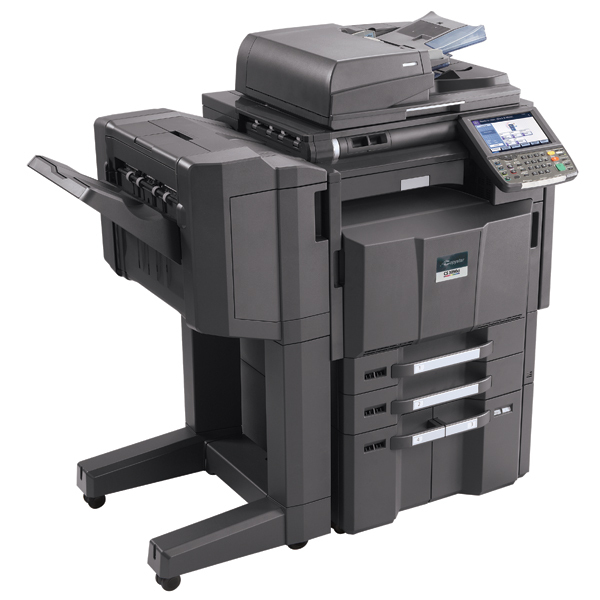 Ideal for virtually every busy office and workgroup, especially round-the-clock document environments, highly secure offices and satellite locations. And thanks to Kyocera’s SMARTtech design, when service is required interruption to your business activities is minimal, to ensure maximum uptime when you need it most. 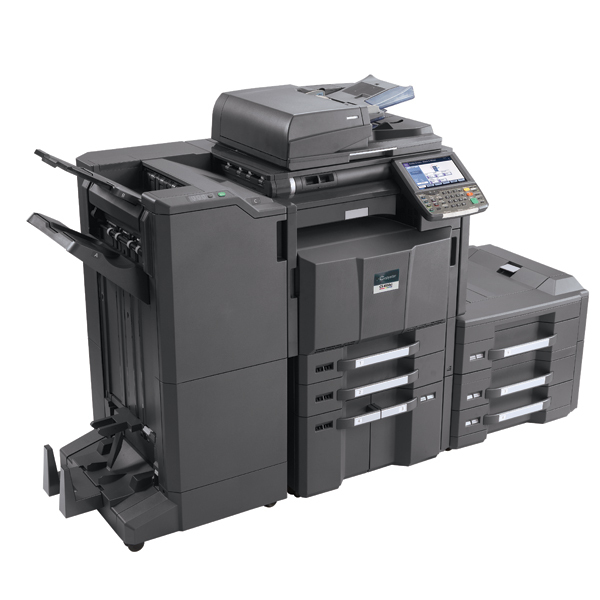 Now your business can print, copy, color scan or fax…all within your budget thanks to one of the lowest Total Cost of Ownerships’ in its class. 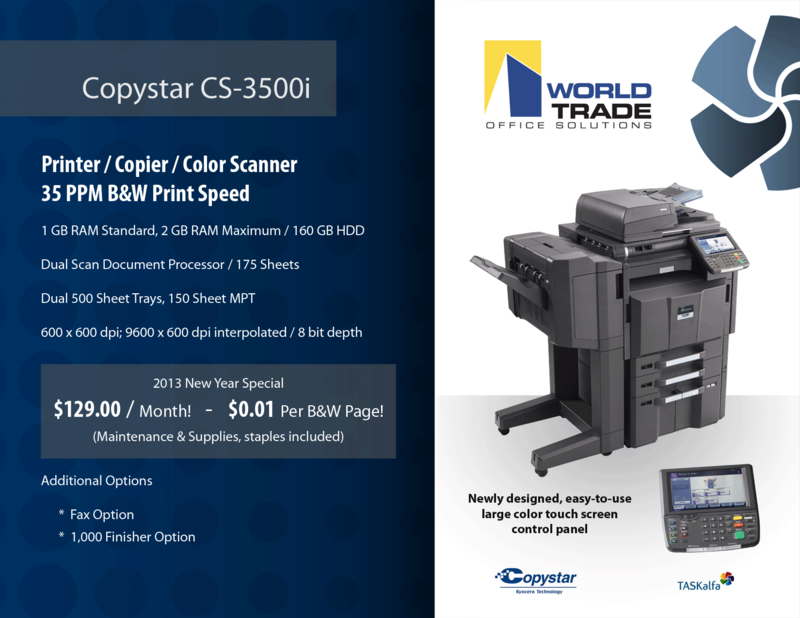 The Copystar CS 305…Built by Copystar , Inspired by You.